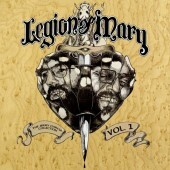 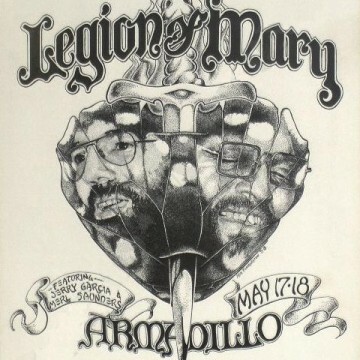 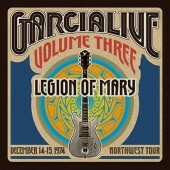 Legion of Mary was the group name used by the final lineup of Jerry Garcia and Merl Saunders, beginning in December of 1974. 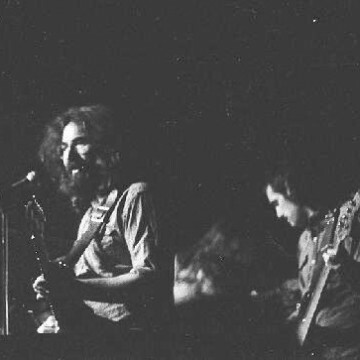 The core members of the group, Garcia, Saunders, and John Kahn, had been performing together since 1971. 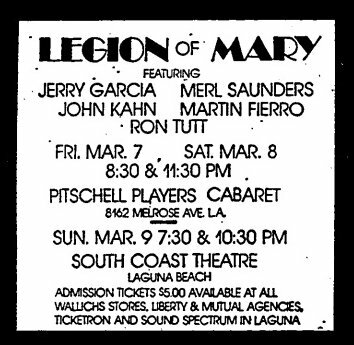 New members included Martin Fierro on saxophone and flute, and Elvis Presley drummer, Ron Tutt. 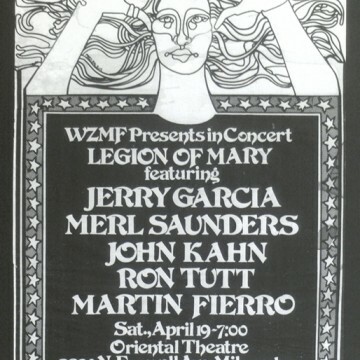 In fact, the presence of Tutt was what determined the band’s billing for each show—with him they were Legion of Mary, and without him they played as Jerry Garcia and Merl Saunders. 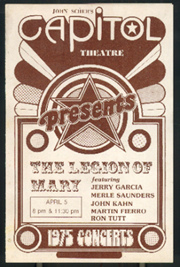 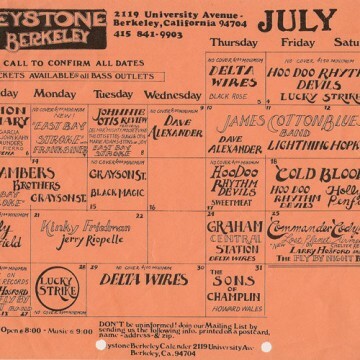 The group played together until the summer of 1975, after which the Jerry Garcia Band became Garcia’s main performing group when the Grateful Dead were off the road.